The 2018 budget smartphone scene is an unforgiving battlefield. It's a place not too many manufacturers are willing to go to and Oppo, for sure, hasn't gone down so low on the price scale up so far. The Realme 1 is Oppo's first device in a brand new ultra-budget line and it's nothing short of a loud and flamboyant show of power. Potentially even a declaration of war. The Oppo Realme 1 launched as an Amazon India online exclusive offer. So, expanding on the war metaphor, the fighting doesn't get any more front-line than this. Even the 'Realme' moniker is clearly meant as a direct taunt to one of the main competitors in Oppo's way - Xiaomi and its extremely popular budget 'Redmi' family. The Realme 1 launched with a mouth-watering starting price of INR 8,990, or just around €110 or $130. Looking at the specs, you do get a lot of phone for the money. Here, take a look for yourselves. In fact, almost too much. 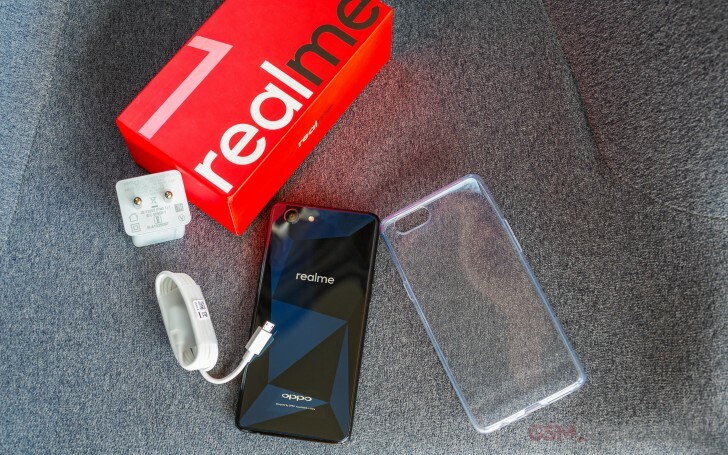 The Realme 1 seems to show all the signs of being an "introductory device." One meant to excite and get the hype going and pave the way for the brands. It's entirely possible that Oppo isn't making much money if any from selling this phone. Not that we object to being subjects to sales tactics like this. Keeping that in mind, we are intrigued to see if the Realme 1 is worth jumping on. Or is the apparent value tainted by some less apparent flaws? On the following pages, we'll take a deep dive into what makes this handset tick but first, let's take a look at what we get in the box. Despite its budget price tag, the Realme 1 comes in what we would describe as an expensive looking retail box. Sure, it's a standard two-piece box but it's made out of impressively thick cardboard. Plus, the handset even sits into a designated plastic cradle - an increasingly rare sight. On top of that sits a thick layer of leaflets and a case. There is even a small paper cut-out to cover the back and protect it from accidentally bumping into the charger. Shipping damage should be no concern. 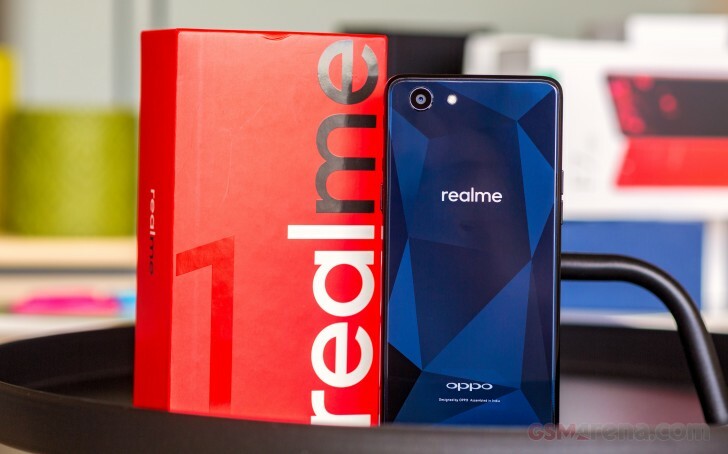 Yes, Oppo is considerate enough to throw in a soft plastic transparent case for the Realme 1. While it won't win any style awards, it does feel surprisingly well made. The retail package also includes a standard wall charger, rated at 5V@2A and a microUSB cable. both led flash, front and rear ?